Milieucentrum Amsterdam invited Bureau B+B to contribute to the exposition ‘The Climate Friendly City’. It focused on increasing sustainability in high density neighborhoods, in this case, De Baarsjes in Amsterdam. Given the fact that worldwide food production will most likely double by 2050, our concept is based on urban farming. 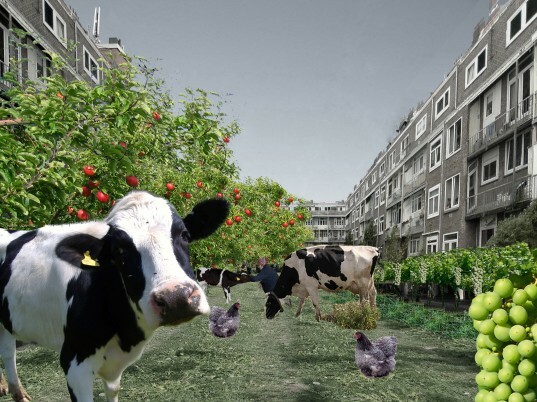 We developed a strategy to gradually increase food production in De Baarsjes.